One of the more mysterious conditions afflicting low-carb Paleo dieters has been high serum cholesterol. Two of our most popular posts were about this problem: Low Carb Paleo, and LDL is Soaring – Help! (Mar 2, 2011) enumerated some cases and asked readers to suggest answers; Answer Day: What Causes High LDL on Low-Carb Paleo? (Mar 4, 2011) suggested one possible remedy. Weight loss (and VLC diet) resulting in hypothyroidism resulting in elevated cholesterol due to less pronounced LDL receptors? I’m the guy with the 585 TC. It went down (to 378 8 months or so ago, time to check again) when I started supplementing with iodine. My TSH has also been trending up the last few years, even before Paleo. So hypothyroidism is my primary suspect. Those answers caused me to put the connection between hypothyroidism and LDL levels on my research “to do” list. Chris Masterjohn has done a number of blog posts about the role of LDL receptors in cardiovascular disease. His talk at the Ancestral Health Symposium was on this topic, and a recent blog post, “The Central Role of Thyroid Hormone in Governing LDL Receptor Activity and the Risk of Heart Disease,” provides an overview. His key observation is that thyroid hormone stimulates expression of the LDL receptor (1). T3 thyroid hormone binds to thyroid hormone receptors on the nuclear membrane, the pair (a “dimer”) is then imported into the nucleus where it acts as a transcription factor causing, among other effects, LDL receptors to be generated on the cell membrane. So higher T3 = more LDL receptors = more LDL particles pulled into cells and stripped of their fatty cargo. So high T3 tends to reduce serum LDL cholesterol levels, but give cells more energy-providing fats. Low T3, conversely, would tend to raise serum cholesterol but deprive cells of energy. LDL particles are not only lipid transporters; they also have immune functions. 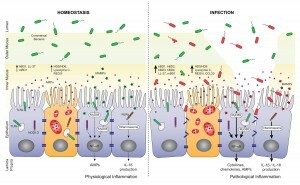 See Blood Lipids and Infectious Disease, Part I, Jun 21, 2011; Blood Lipids and Infectious Disease, Part II, Jul 12, 2011. T3 becomes low when glucose or protein are scarce. Thyroid levels alter to encourage resource utilization when resources are abundant and to conserve resources when they are scarce. See Carbohydrates and the Thyroid, Aug 24, 2011. If LDL particles were being taken up from the blood via LDL receptors, they would have to be replaced – a resource-expensive operation – or immunity would suffer. 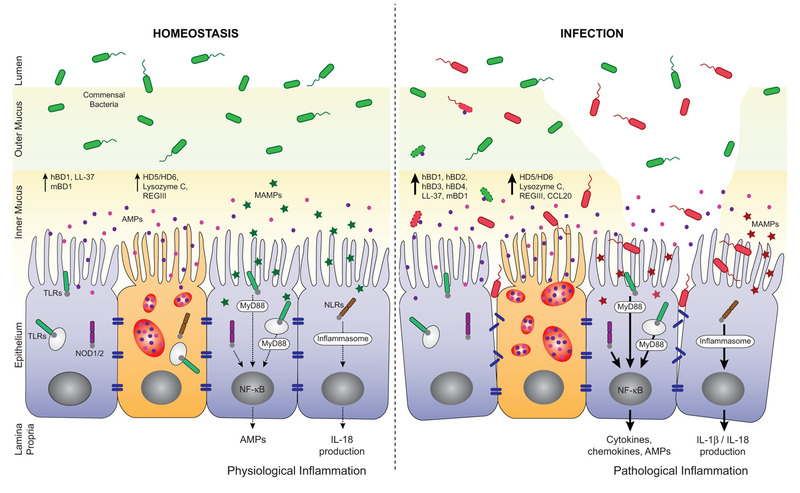 Apparently evolution favors immunity, and gives up the lipid-transport functions of LDL in order to maintain immune functions during periods of food scarcity. High LDL on Low Carb: Good health, bad diet? Suppose LDL receptors are so thoroughly suppressed by low T3 that the lipid transport function of LDL is abolished. What happens to LDL particles in the blood? Immunity becomes their only function. They hang around in the blood until they meet up with (bacterial) toxins. This contact causes the LDL lipoprotein to be oxidized, after which the particle attaches to macrophage scavenger receptors and is cleared by immune cells. So, if T3 hormone levels are very low and there is an infection, LDL particles will get oxidized and cleared by immune cells, and LDL levels will stay low. But if there is no infection and no toxins to oxidize LDL, and the diet creates no oxidative stress (ie low levels of omega-6 fats and fructose), then LDL particles may stay in the blood for long periods of time. If LDL particles continue to be generated, which happens in part when eating fatty food, then LDL levels might increase. A chronic state of glucose deficiency, leading to very low T3 levels and suppressed clearance of LDL particles by lipid transport pathways. Absence of infections or oxidative stress which would clear LDL particles by immune pathways. The solution? Eat more carbs, and address any remaining cause of hypothyroidism, such as iodine or selenium deficiency. T3 levels should then rise and LDL levels return to normal. Alternatively, there is evidence that some infections may induce euthyroid sick syndrome, a state of low T3 and high rT3, directly. And these infections may not oxidize LDL, thus they may not lead to loss of LDL particles by immune pathways. So such infections could be another cause of high LDL on Paleo. Gregory Barton is an Australian, 52 years old, living in Thailand, where he keeps goats, makes goat cheese and manages a large garden which can be seen on http://www.asiagoat.com/. I went very low carb in April in an effort to address metabolic issues, eating as little as 15grams carbohydrate per day. 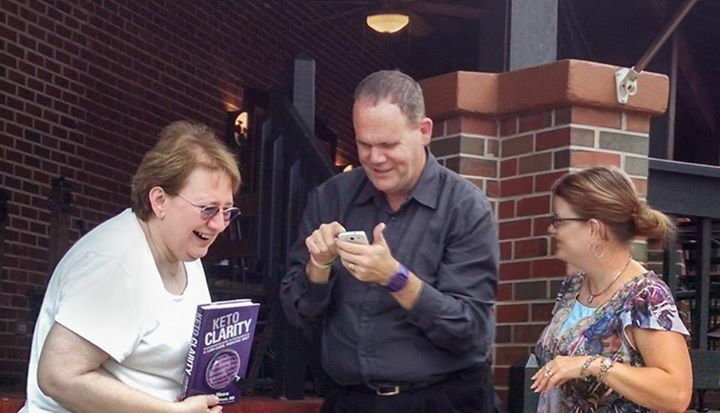 I had great results with blood pressure, sleeping, blood sugar and weight loss. But lipids bucked the trend. I had expected triglycerides and cholesterol to drop when I cut the carbs, but they did the opposite: They surged. By July my total cholesterol was 350, LDL 280, and triglycerides bobbed around between 150 and 220. Saturated fat: The increase in saturated fat created a superabundance of cholesterol which the liver cannot handle. Also, Loren Cordain has claimed that saturated fat downregulates LDL receptors. Temporary hyperlipidemia: The surge in lipids is the temporary consequence of the body purging visceral fat. Jenny Ruhl has argued that within a period of months the situation should settle down and lipids should normalize. Hibernation: The metabolism has gone into “hibernation” with the result that the thyroid hormone T4 is being converted into rT3, an isomer of the T3 molecule, which prevents the clearance of LDL. I could accept that saturated fat would raise my cholesterol to some degree. However, I doubted that an increase in saturated fat, or purging of visceral fat, would be responsible for a 75% increase in TC from 200 to 350. There are two basic factors controlling cholesterol levels: creation and clearance. If the surge was not entirely attributable to saturated fat, perhaps the better explanation was that the cholesterol was not being cleared properly. I was drawn to the hibernation theory. So what about temporary hyperlipidemia? Bears hibernate for winter, creating rT3, but manage to awaken in spring. 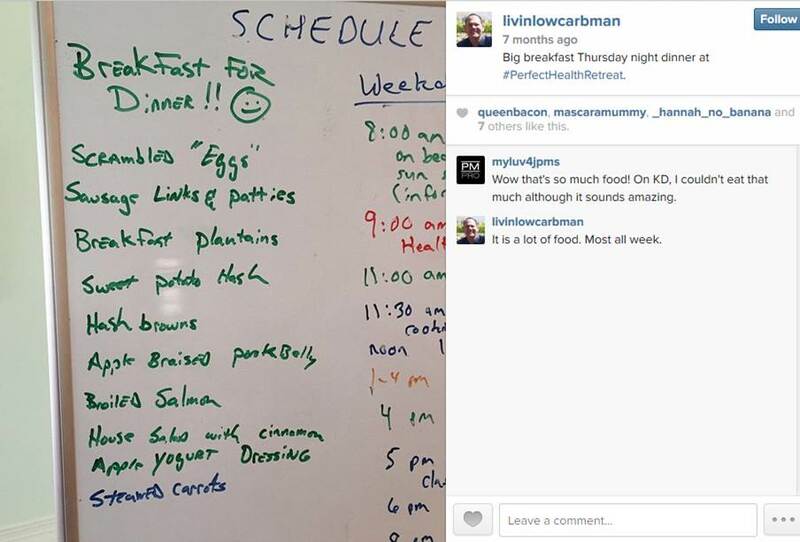 Why should humans on low carb diets not be able to awaken from their hibernation? There are many people who complain of high cholesterol years after starting low carb. High or low cortisol can cause rT3 problems, as can chronic illness. It would be nice if correcting these things was all that was necessary. But it seems that the body gets stuck in high rT3 mode. Increase net carbs to ~50 grams per day. Having achieved my goals with all other metabolic markers I increased carbs, taking care that one hour postprandial blood sugar did not exceed 130 mg/dl. Supplement with T3 thyroid hormone. In case the malnutrition explanation was a factor, I began supplementing copper and eating my wife’s delicious liver pate three times per week. The surge in TC was acute and very high. It was above the optimal range in O Primitivo’s mortality data. I increased carbs by 20-30g/day for about a month. TC stabilized, but did not drop. The rT3 theory is elegant and I was eager to test my claim that the bulk of the cholesterol was due to a problem with clearance rather than ‘superabundance’. I started taking cynomel, a T3 supplement, four weeks ago. After one week triglycerides dropped from 150 to 90. After two weeks TC dropped from 350 to 300 and after another week, to 220. Last week numbers were stable. Based on Paul’s recent series on blood lipids, especially the post Blood Lipids and Infectious Disease, Part I (Jun 21, 2011), I think TC of 220 mg/dl is optimal. As far as serum cholesterol levels are concerned, the problem has been fixed. I believe that thyroid hormone levels were the dominant factor in my high LDL. Saturated fat intake has remained constant throughout. My current goal is to address the root causes of the rT3 dominance and wean myself off the T3 supplement. I hope to achieve this in the next few months. My working hypothesis is that the cause of my high rT3 / low T3 was some combination of very low carb dieting, elevated cortisol (perhaps aggravated by stress over my blood lipids! ), or malnutrition. Another possibility is toxins: Dr Davis claims that such chemicals as perchlorate residues from vegetable fertilizers and polyfluorooctanoic acid, the residue of non-stick cookware, may act as inhibitors of the 5′-deiodinase enzyme that converts T4 to T3. Finally, Val Taylor claims that blood sugar over 140 mg/dl causes rT3 dominance. I couldn’t find any studies confirming this claim, and don’t believe it is relevant to my case. Val recommends low carb for diabetics to prevent cholesterol and rT3 issues but warns not to go under 60g carb per day. Preparation: In order to tolerate T3 supplement you have to be sure that your iron level and your adrenals are strong enough. This requires quite a bit of testing. I’ve read of people who cut corners with unpleasant results. Practicalities: T3 supplementation requires daily temperature monitoring in order to assess your progress. People who are on the move throughout the day would find this difficult. Danger: Once you get on the T3 boat you can’t get off abruptly. Your T4 level will drop below range and you will be dependent on T3 until you wean yourself off. If you stopped abruptly you could develop a nasty reaction and even become comatose. As Chris Masterjohn said, in the quote above, if you are going to do very low carb, check your thyroid levels. I would add: Increase the carbs if you find your free T3 falling to the bottom of the range. It might be a good idea to test also for cortisol. A 24-hour saliva test will give you an idea whether your cortisol levels are likely to contribute to an rT3 issue. It might also be a good idea to avoid very low carb if you are suffering from stress – such as lipid anxiety! Thanks, Gregory, for a great story and well-researched ideas. The rapid restoration of normal cholesterol levels with T3 supplementation would seem to prove that low T3 caused the high LDL levels. However, I would be very reluctant to recommend T3 supplementation as a treatment for high LDL on Paleo. If the cause of low T3 is eating too few carbs, then supplementing T3 will greatly increase the rate of glucose utilization and aggravate the glucose deficiency. The proper solution, I think, is simply to eat more carbs, to provide other thyroid-supporting nutrients like selenium and iodine, and allow the body to adjust its T3 levels naturally. The adjustment might be quite rapid. 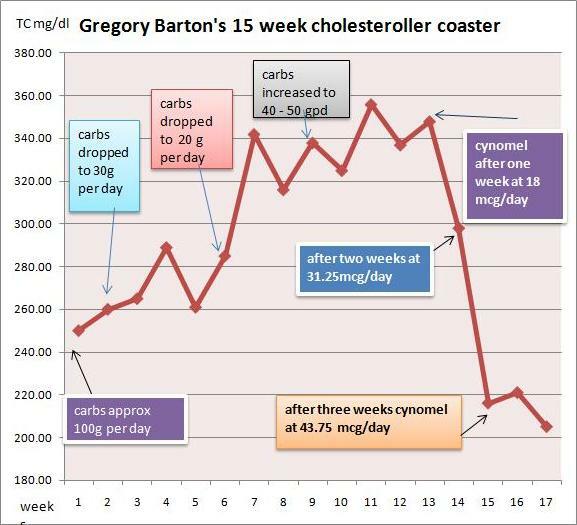 In Gregory’s case, his increased carb consumption of ~50 g/day was still near our minimum, and he may have been well below the carb+protein minimum of 150 g/day (since few people naturally eat more than about 75 g protein). So I think he might have given additional carbs a try before proceeding to the T3. GB: What if one is glucose intolerant and can’t tolerate more than 60 grams per day without hyperglycemia or weight gain? PJ: I think almost everyone, even diabetics, can find a way to tolerate 60 g/day dietary carbs without hyperglycemia or weight gain, and should. GB: What if raising carbs doesn’t normalize blood lipids and one finds oneself ‘stuck in rT3 mode’? 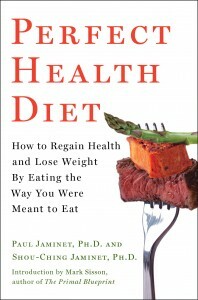 PJ: I’m not yet convinced there is such a thing as “stuck in rT3 mode” apart from being “stuck in a diet that provides too few carbs” or “stuck in a chronic infection.” If one finds one’s self stuck while eating a balanced diet, I would look for infectious causes and address those. Finally, if I may sound like Seth Roberts for a moment, I believe this story shows the value of a new form of science: personal experimentation, exploration of ideas on blogs, and the sharing of experiences online. It takes medical researchers years – often decades – to track down the causes of simple phenomena, such as high LDL on low carb. We’re on pace to figure out the essentials in a year. Water Weight: Does It Change When Changing Diets? Does It Matter? We’re now up to the final topic in the series reviewing experiences on the diet. Our final topic is the issue of weight gain and loss. This will take a few posts to explore. Next week will be “fat loss week.” This week, let’s look at the question of water weight. I started PHD a few weeks ago, after finding the blog, and then reading the book. I have only positive experiences to report…. 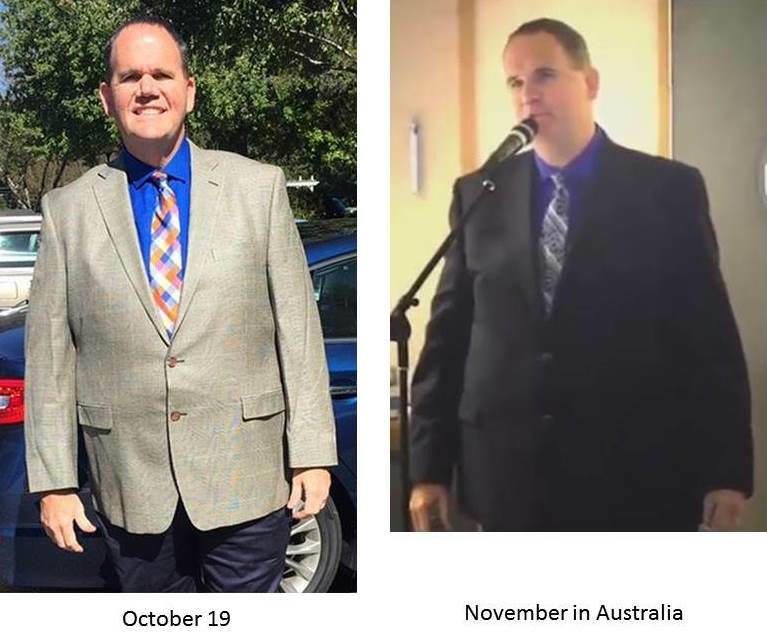 I had been overweight in the past, and lost weight by low-calorie dieting on processed foods, along with strength training. After a while I would revert to some degree of overeating, and have to diet again. I’m mildly overweight now but I have been losing 2 lbs. per week on the PHD. Keep in mind this is before any calorie counting. I keep telling myself I will plug things in to Fitday, but so far my hunger is autoregulating itself and the weight is coming off. Is this an adjustment period I need to get through? Maybe I’m one of those broken metabolism folks who has to stick with VLC? After experimenting with adding modest amounts of “safe starches” to my much lower-carb routine, I have noticed a modest weight gain of 3-5 lbs. I wonder if it’s merely glycogen and water repletion. I also wouldn’t be surprised about weight gain. Presumably these folks are normally running on fairly low glycogen stores. Add some starchy carbs back, and the resulting water weight gain could be a handful of pounds presumably. That’s an interesting question, so I thought I’d look into the matter. Sugars are hydrophilic. If you put some water next to some sugar, the sugar will soak it up. As a result, a person’s water weight depends in part on the weight of sugars in the body. More sugars, more water, more weight. It’s commonly stated that each gram of glycogen is associated with four grams of water; let’s take that as a general ratio for organic sugars. A typical adult has around 500 grams of glycogen, roughly one-third in the liver and two-thirds in muscle. With associated water, this would add about 2.5 kg or 5 pounds to body weight. 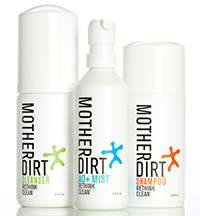 Mucus in the digestive tract and airways may be as much as 80% sugar by dry weight. The glycocalyx, a protective polysaccharide coat around cells, is primarily composed of sugars. Hyaluronan, glucosamine, and other compounds that enable joints to move freely have much of their weight as sugar-water associations. These sugar-containing molecules with their associated water add a lot of weight to the body. Glycogen we’ve said accounts for as much as 5 pounds; mucus probably accounts for several pounds at least; and other glycoproteins must add at least a few pounds more. Are Glycogen and Glycoproteins Lost on a Low-Carb Diet? I argued in my “zero-carb dangers” series that a danger of zero-carb dieting was that the body would downregulate production of glycoproteins; and that reduced production of these might be quite dangerous. For instance, reduced production of mucus in the digestive tract might increase the risk of gastrointestinal cancers, bowel diseases, and entry of infectious pathogens through the gut. If it’s true that low-carb diets reduce water weight by 5 to 10 pounds, there must be a substantial loss of sugar-containing molecules. This is hardly likely to be healthy. Glycoproteins are essential for good health. Indeed, the evolution of glycoproteins was a prerequisite for the evolution of multicellular life! So I would find this kind of water-weight loss quite alarming. Let’s look for some data to see if it actually happens. Over 30 days of fasting, almost half the weight lost is from fat and almost half from water; small amounts of protein and sugar are lost. In the first few days, water loss dominates. In the first 48 hours, 3.4 kg are lost, of which roughly 0.35 kg are glycogen, 0.1 kg protein, 0.3 kg fat, and 2.65 kg water. So in the first two days of fasting, fully 5.8 pounds of water are lost. That’s remarkable. 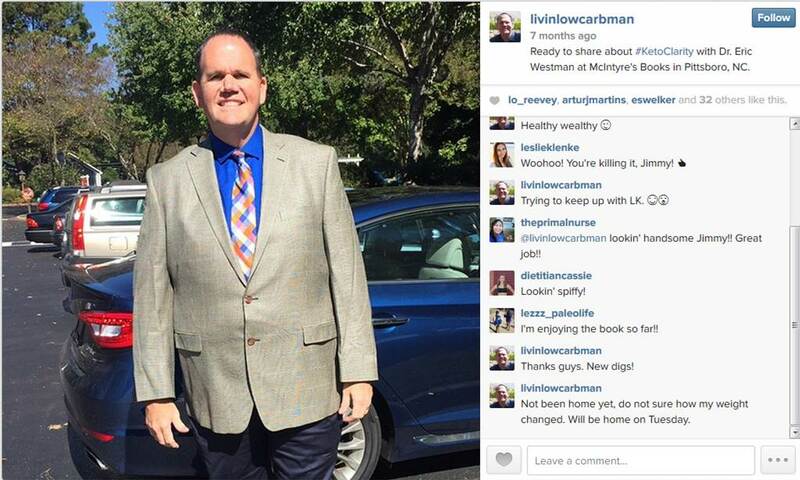 Presumably, if this person had been returned to his normal diet, that weight would have been regained in a few days. If the water loss was triggered by a loss of carbohydrate (in glycogen and glycoproteins), then a very low-carb diet might have had the same effect as the fast. 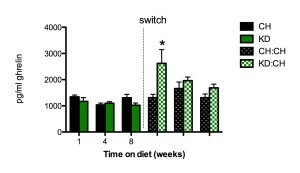 The subjects entered the metabolic ward but continued to eat their normal diet on days 1 through 7, to provide a baseline. Then they adopted an Atkins-style diet for 2 weeks. Carbohydrate was reduced to 21 g (80 calories) per day, and they could eat as much fat and protein as they wished. So in this study, water weight loss averaged only 360 g (0.8 lb), and some patients actually gained water weight on the low-carb diet! 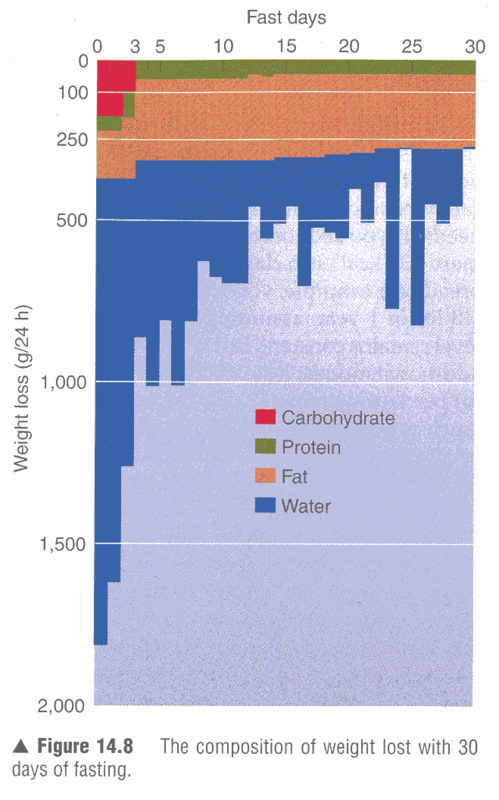 So it looks like going from a high-carb diet to a low-carb diet needn’t lead to much loss of water weight. In her book ‘Living on Light’, Jasmuheen tries to animate people worldwide to follow her drastic nutrition rules in order to boost their quality of life. Several deaths have been reported as a fatal consequence. 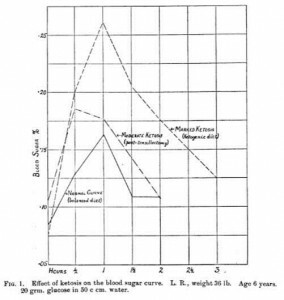 A doctor of chemistry who believably claimed to have been ‘living on light’ for 2 years, except for the daily intake of up to 1.5 l of fluid containing no or almost no calories was interested in a scientific study on this phenomenon. 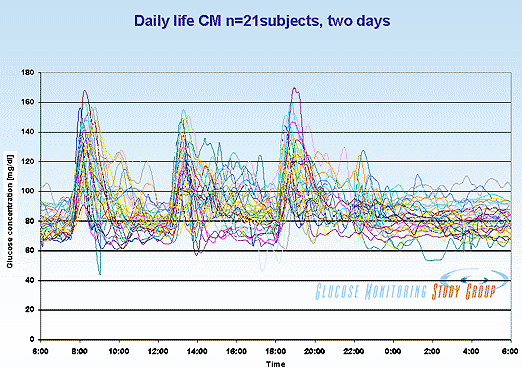 The 54-year-old man was subjected to a rigorous 10-day isolation study with complete absence of nutrition. During the study he obtained an unlimited amount of tea and mineral water but had no caloric intake…. If his weight loss of 260 g/day consisted of 130 g protein and 130 g fat – a plausible mix – then he was expending about 1700 calories per day. This is very plausible, and leaves little room for water weight loss. 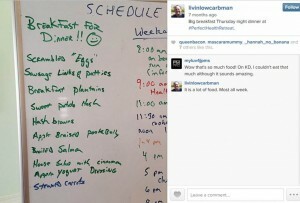 So when a low-carb dieter starts a fast, he may lose hardly any water weight at all! These studies are inconsistent. If going from a high-carb diet to a low-carb diet doesn’t produce water weight loss, and going from a low-carb diet to fasting doesn’t, then why would going from a high-carb diet to fasting? I confess I was surprised by the level of water loss reported by Ned’s source. I fast moderately often, and I lose typically around 1 pound during a 36 hour fast. Shou-Ching’s experience is similar. That doesn’t leave much room for water weight loss. 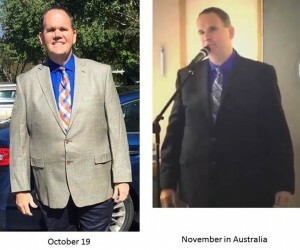 But clearly, some people do experience large losses of water weight when they adopt a low-carb diet or a fast, and then regain it upon carb re-feeding. I think we have to conclude that the phenomenon of water weight loss on low-carb diets, and water weight gain on carb re-feeding, is variable across persons. In some persons it happens, and in others it doesn’t. I think those sugars serve important functional purposes. Glycoproteins are essential for health. Glycogen is a desirable reserve that helps the liver manage blood glucose and muscles exert force. Maggy asked if she was metabolically broken because she gained 5 pounds in a week by adding carbs back in. Now, a lot can happen in a week, including significant changes in fat and protein mass, and water weight changes due to changes in sodium levels. Low-carb diets tend to lead to salt loss, so that may have been a factor. 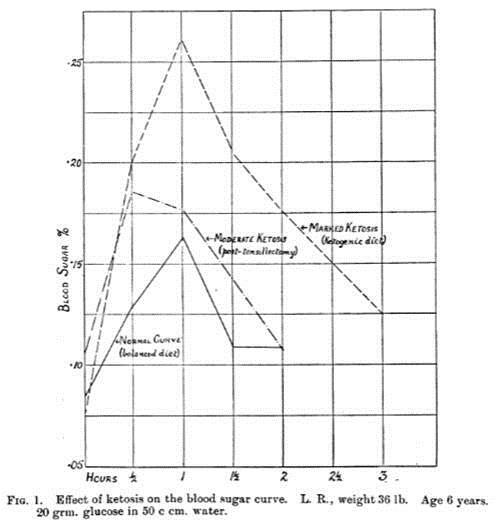 But if the weight gain was entirely due to restoration of sugar and water levels, then I’m reluctantly led to the conclusion that Maggy may indeed be “metabolically broken.” The brokenness is not in the gain of bodily sugars when she eats the carbs; it’s in the loss of these important sugars on her very low-carb diet! If it’s unhealthy to lose those sugars, and if a metabolically healthy person can sustain the body’s sugar and water levels through a fast, then the loss of sugars on either a low-carb diet or fast suggests a damaged metabolism. As much as Maggy wishes to lose weight, it is important to lose weight from adipose cells, not from water and glycoproteins. Her rapid ~5 lb weight gain upon shifting from a very low-carb diet to the Perfect Health Diet might have been a very good thing. CarbSane has begun a series on water weight, and has interesting numbers on water weight in adipose tissue and lean tissue, and how water weight varies between obese and lean persons. This post introduced several papers, and a follow-up contributes an interesting analysis and suggests that movement of fatty acids between adipose and lean tissue may be involved in water weight changes. I didn’t know that extracellular water weight in tissues was so variable. Thank you CarbSane! Wilmore, J.H., Costill, D.L., & Kenney, W.L. (2007). Physiology of sport and exercise. Champaign, IL: Human Kinetics. Cited by Ned Kock, “The amounts of water, carbohydrates, fat, and protein lost during a 30-day fast,” http://healthcorrelator.blogspot.com/2010/10/amounts-of-water-carbohydrates-fat-and.html. Boden G et al. Effect of a low-carbohydrate diet on appetite, blood glucose levels, and insulin resistance in obese patients with type 2 diabetes. Ann Intern Med. 2005 Mar 15;142(6):403-11. http://pmid.us/15767618. Full text: http://www.annals.org/content/142/6/403.full.pdf. Heusser P et al. Nutrition with ‘light and water’? 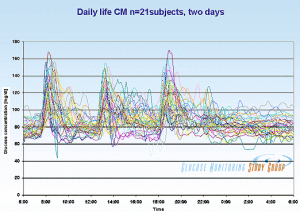 In strict isolation for 10 days without food – a critical case study. Forsch Komplementmed. 2008 Aug;15(4):203-9. http://pmid.us/18787329.